If you are looking forward to create your own blog, then it is a very good idea to do so. But at the same time, you need to search for a very good personal blog WordPress theme which is ideal to give your blog the appropriate look and establish its online presence. Now, getting a good WordPress theme is one of the most important task when you are launching your new blog. This is not at all an easy task as it seems to be. Now, to make this work easy for you and let you select the best WordPress theme for your personal blog read through. 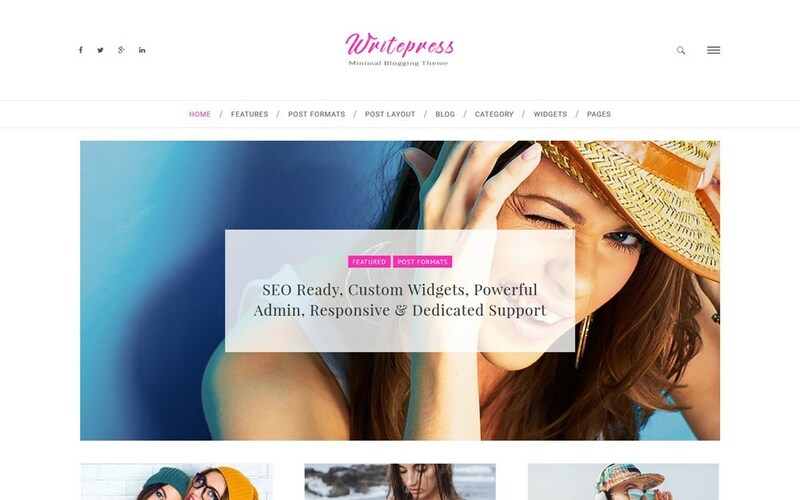 Writepress is a wonderful personal blog WordPress theme which allows you to start your blog in a matter of just few minutes. The theme has more than about 19 layouts which makes it extremely easy for you to choose the one that best fits in with your blog. All the setups can be done with the help of only a single click. The theme has a checkered blog design which will be very helpful for you. With the help of Writepress, you will be absolutely free to express yourself. 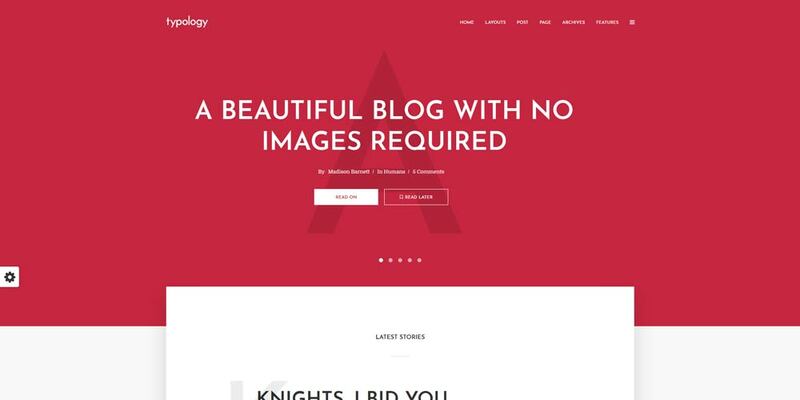 Apress is quite an elegant and beautiful personal blog WordPress theme particularly designed for personal blogs keeping in mind the specialised theme for fashion as well as lifestyle. The theme comes with a clean design, classic typography and some of the useful & friendly widgets. There are four demos which can be easily imported and utilised in the creation of the website for your blogs. The theme is also SEO optimised which helps to attract more visitors to the website. 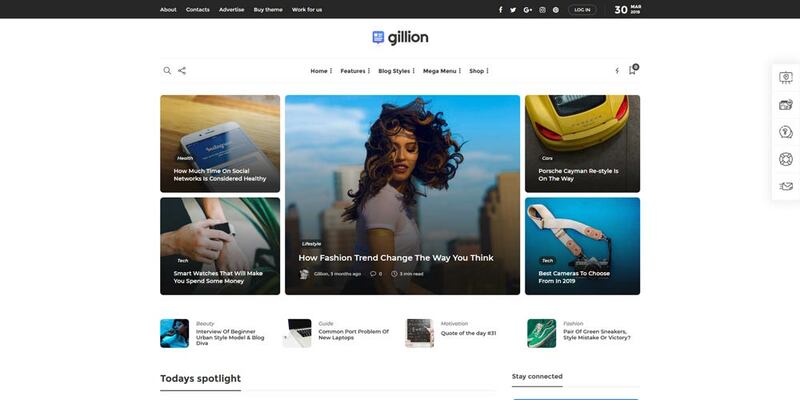 Gillion is another of the superb WordPress themes which has all the necessary elements for the creation of a perfect blogging website. The theme has a specialised bookmarking and review system which is very helpful. Gillion has 13 custom made widgets, 7 different demos and 4 header layouts which allows the users to create the website as they like. In an addition to this, the theme has a built in Visual Composer with unlimited colour options. 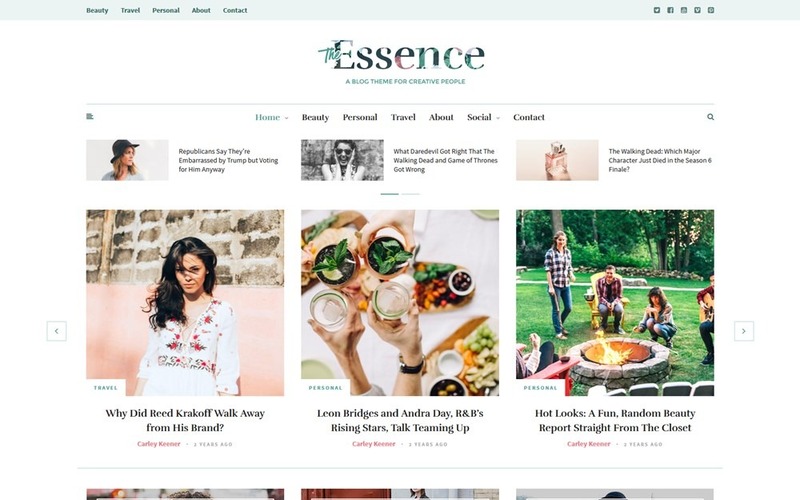 Essence is a beautiful personal blog WordPress theme especially designed for blogs and magazine websites. The theme has elegant design along with a number of very useful features like optin forms, multiple homepage layouts, completely responsive design and a lot more to meet all the needs of the bloggers at its best. The theme also has a live customizer and social media feeds which is highly advantageous for the bloggers to launch their own website. 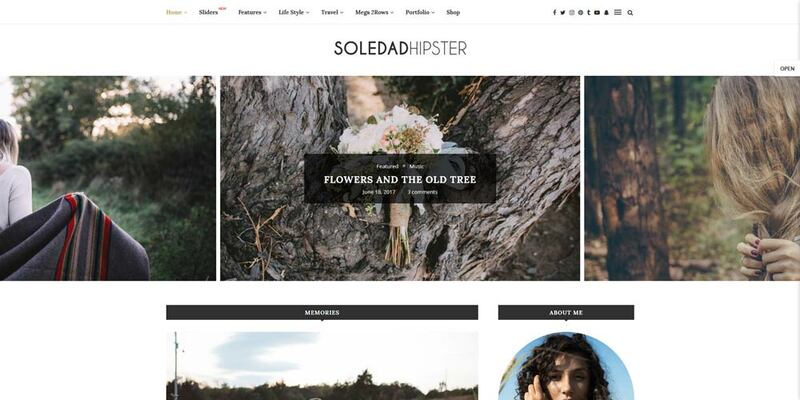 Soledad is one of the best selling personal blog WordPress theme in the market in the recent times. The theme is completely modern, dynamic, vibrant and extremely visually appealing. It has the ability to attract the attention of the viewers in almost no time. The creators of the theme have kept it clean and made the design very legible which is aesthetically polished. At the same time, the theme is functionally very useful which plays a vital role in creating the blogging website with ease. CheerUp is a very efficient personal blog WordPress theme which is highly preferred among the bloggers. The theme has a very user – friendly interface making it quite easy to use. The theme is also very well structured and completely responsive which make the theme widely applicable. 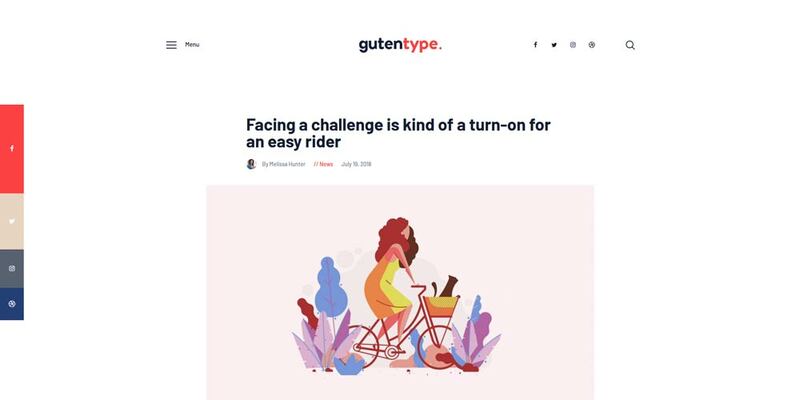 In an addition to this, CheerUp has all the necessary elements that are required to make it an outstanding blogging theme. The theme has a more than about 100 different customisable blog layout template, some of the most powerful grids for the contents. 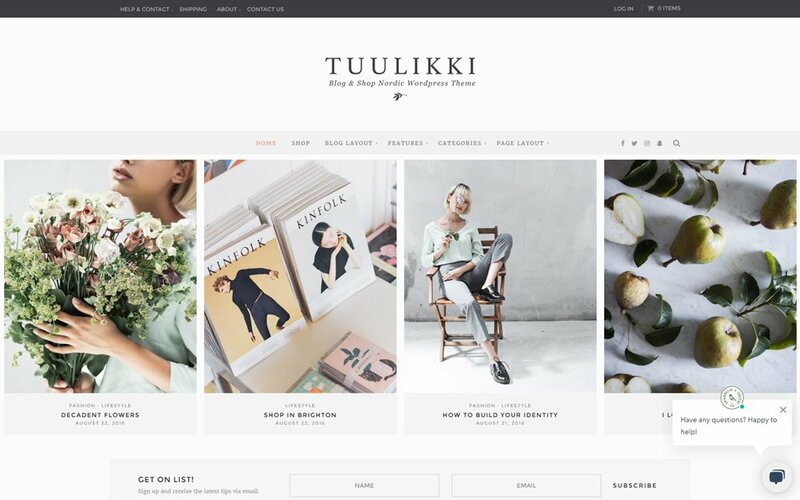 Tuulikki is a theme for everyone which is especially designed for creative use and personal Blog WordPress theme. The theme can also be used for the individuals who want to launch a commercial activity which is possible because of the integrated WooCommerce function with the theme. The theme is a user friendly one and extremely easy to use which helps you to create your blog within a matter of just few minutes. The theme also has five blog layouts and five header layouts making it advantageous for the users. 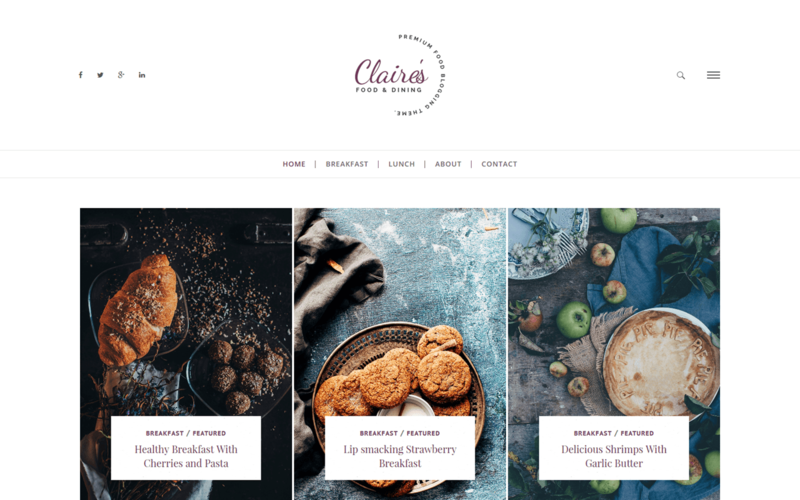 Charlotte is one of such personal blog WordPress theme which is extremely creative and will certainly allow the bloggers to express their freedom with creativity. The theme is very stylish and has a stunning design which is bound to create a long – lasting impression on the viewers. 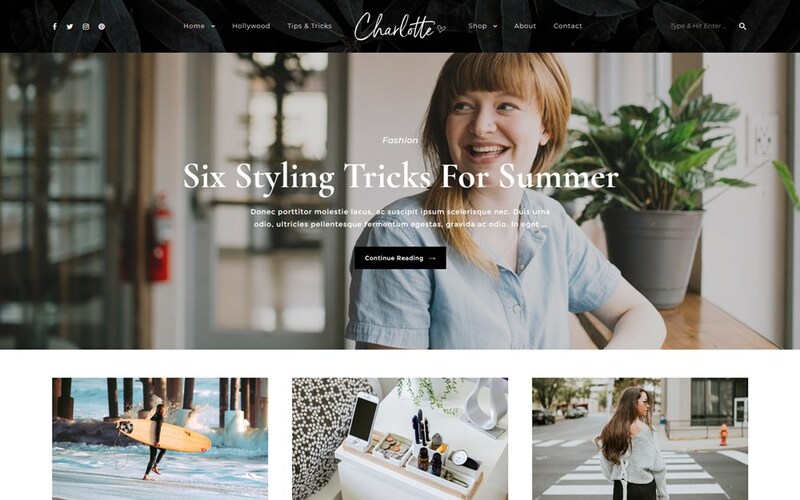 Charlotte comes with a front – end customizer and five custom widgets which are immensely useful during the course of creation of the blogging website. Gutentype is a very simple and a clean theme which has a lot of space. The design of the theme is modern which is suitable for almost all purposes which is why it is highly preferred by the bloggers. 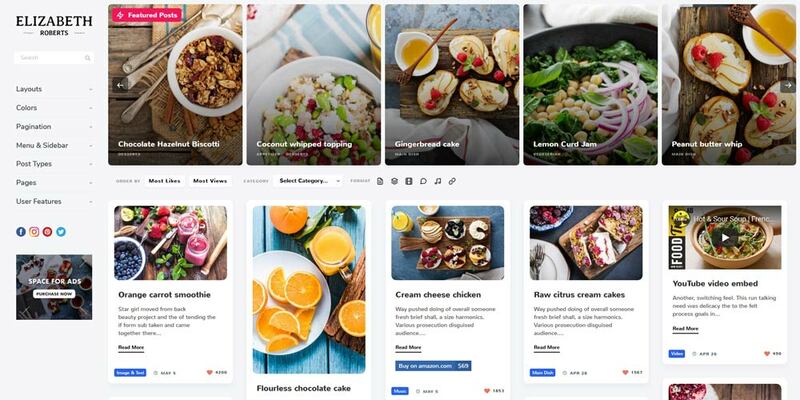 In an addition to this, the theme has author boxes, very good – looking widgets, social icons, tags and even contact forms which helps the bloggers to design their website as they like. The layout is completely responsive and the theme also has theme options panel adding to the benefit of the bloggers. 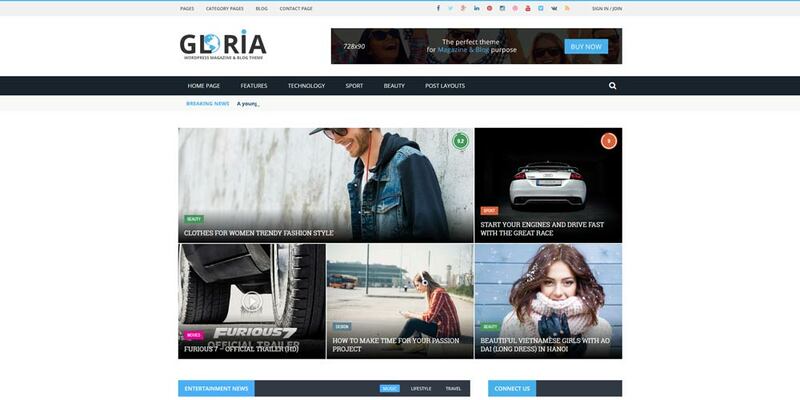 Gloria is a personal blog WordPress theme which is just great for creating a personal blog website. The layout is completely responsive which is a great advantage. 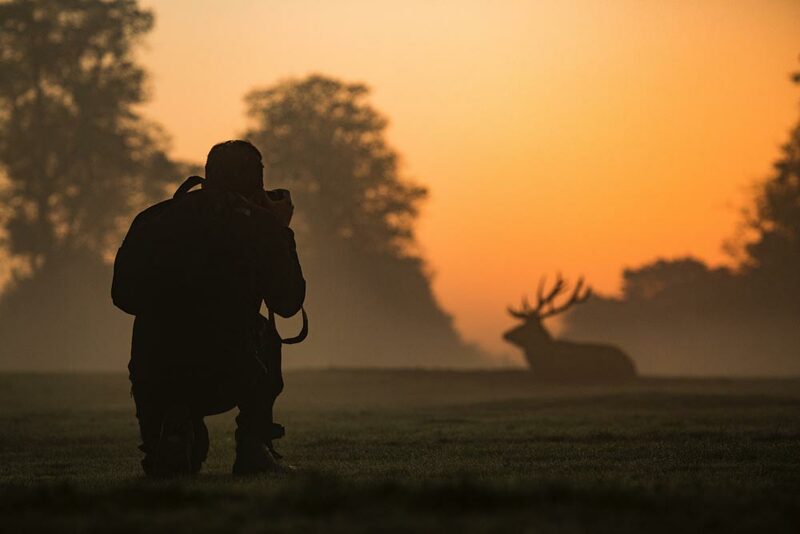 The theme has alternatives for homepages, a full screen slider and 5 posts format making it easier for the users to create their own website. Moreover, the theme is translation ready and comes along with a lot of colour options as well as theme options. 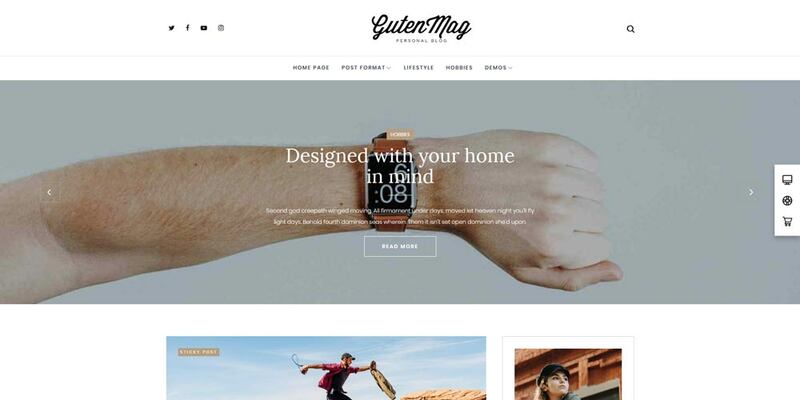 Gutenmag is a superb WordPress theme that never fails to impress and this is the reason why the theme is so popular among the bloggers. The theme is fully responsive and completely retina ready thereby allowing the users to access each & every post from computers, laptops, smartphone or tablets. Additionally, this theme is compatible with all of the major browsers. The theme is SEO optimised which readily enhances the exposure of your website so created. 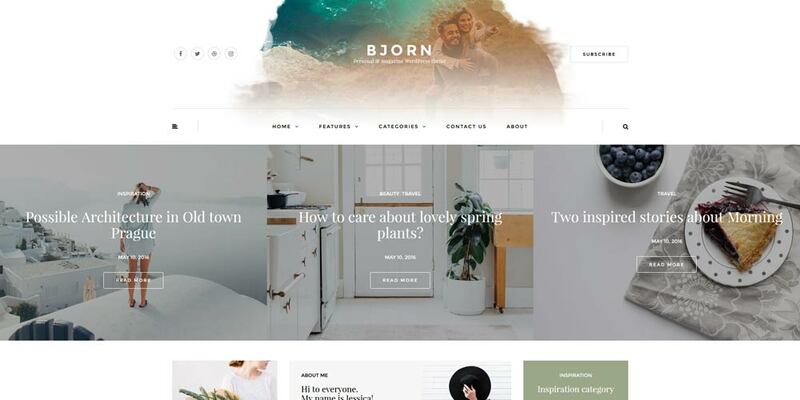 Bjorn is a very popular personal blog WordPress theme among the bloggers. The theme has seven different blog layout options and more than about ten featured post slider styles allowing the users to create the website as per their needs. The theme comes along with a popular posts display feature with unlimited colour themes giving the users all the freedom to express themselves. In an addition to this, the theme has custom widgets and promo blocks which are extremely useful. Pluto is a very simple yet powerful WordPress theme for the creation of a unique website that you were looking forward to. It is one of the premium themes available in the market which is fully responsive in nature. The theme has deep running customisation capacitieswhich allows the users to design their website as they like. The users do not require any kinds of previous coding skills and they can conveniently build the websites within a very short span of time. 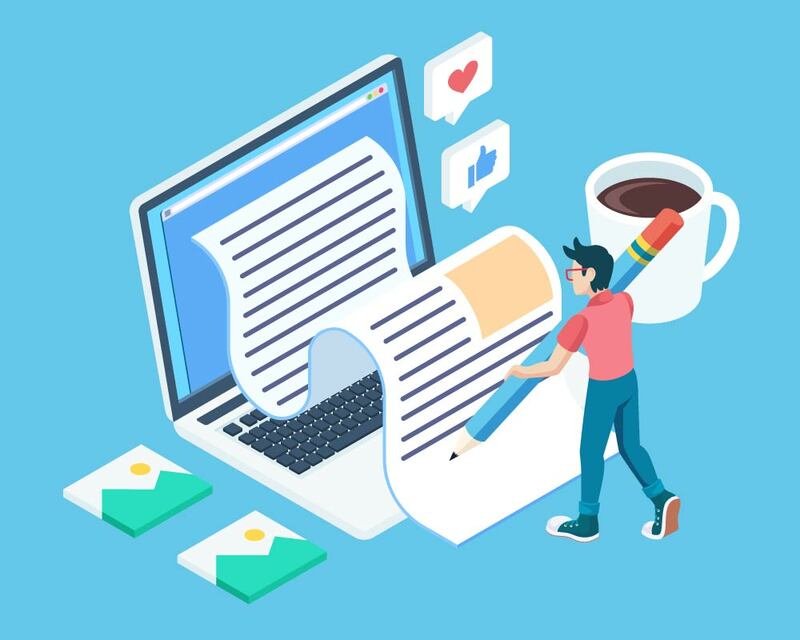 Newspaper is another of the bestselling personal blog WordPress themewhich will help you in telling all your stories with use of typography along with dynamism and a highly professional design. The modern look of the theme is just the ideal solution for the various needs of the users. 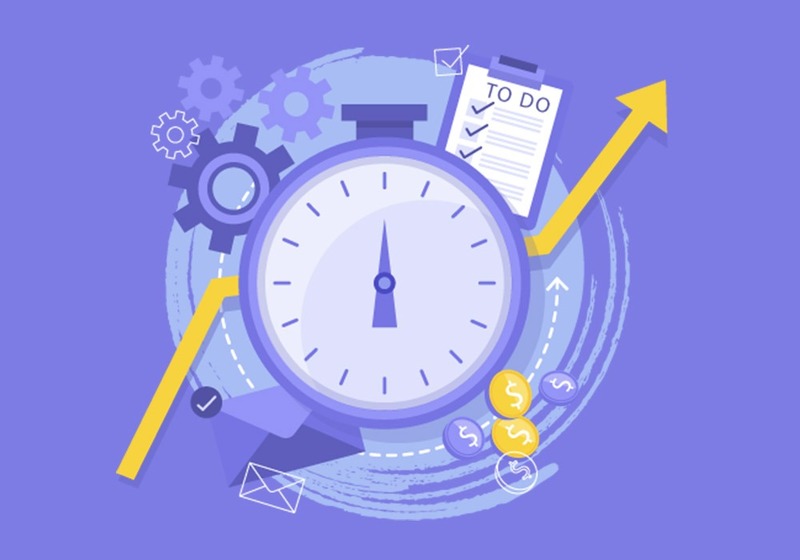 The speciality of the theme is its unique designs that are combined with high quality performance and a perfect stability to any of the blogs. 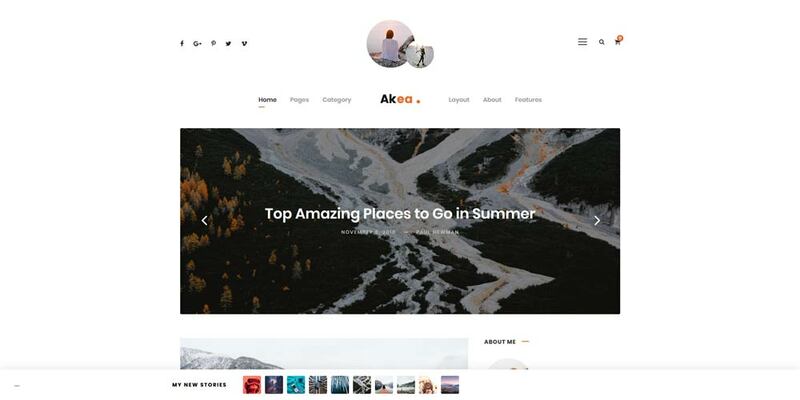 Akea is one of the elegant themes for the blogs. It has a clean and classy design which makes it just perfect option for the bloggers to create their website. The theme comes with Instagram integration and a number of other useful widgets which are necessary for the designing of the website. Akea comes with different layouts for blogs and a featured slider which is helpful in building the website. 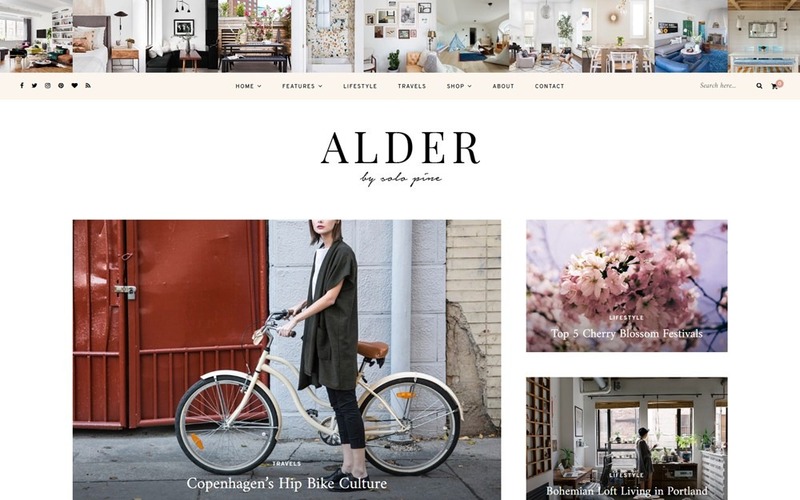 Alder is an airy personal WordPress blog theme which is particularly designed for the staging of your content in structured elegance. 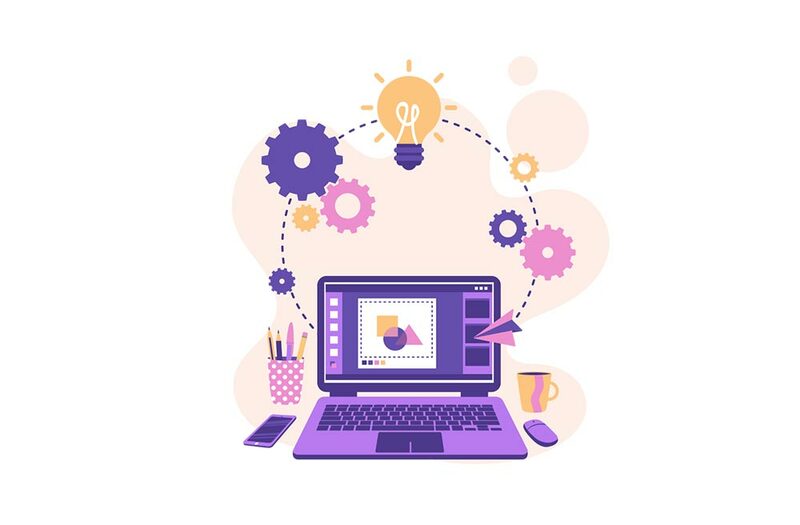 The users can easily take advantage from the endless options for customisation where the users can change the colour of the theme, the blog layout options and post formats to create their dream, website. The updates for the theme is free for lifetime and you need not pay anything extra for that. 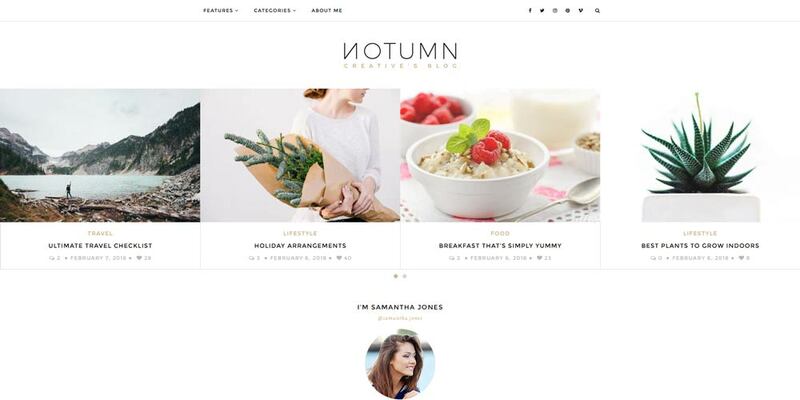 Notumn is a fully responsive personal blog WordPress theme which is modern, minimalistic and a very elegant one. If you are a blogger and you are looking to express your creativity, then Notumn would be ideal option in this regard. The theme has clutter free and stunning minimalistic layouts so that your content looks great on any kind of device. This is possible because of the completely responsive nature of the theme. The theme has a live customizer and a full screen lightbox with heavy features such as slideshow, zoom, transitions etc. 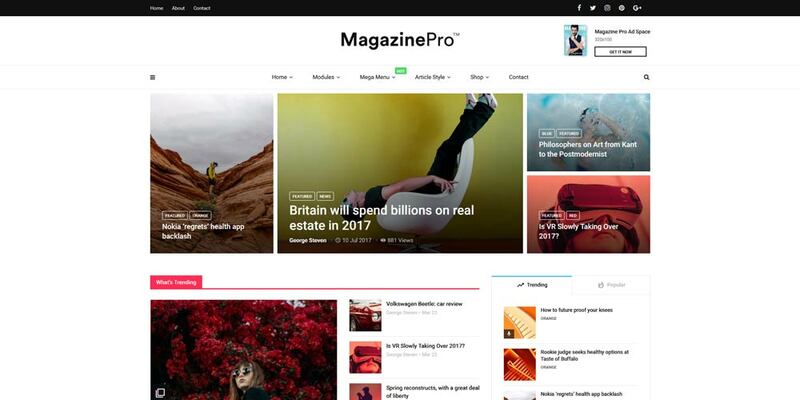 MagPlus is a very professional personal blog WordPress theme that has a stylish and modern design. The theme is also a highly creative and aesthetic one. Also, MagPlus has more than over thirty demos which can be easily imported with a single click. The theme is fully responsive and offers some of the most amazing layout elements for crafting the intended website. The theme also offers SEO and shortcodes which makes the interface of the theme very efficient and effective at the same time. Moreover, the designs are extremely quick to build which saves a lot of time for the users. Typology is a personal blog WordPress theme that is text based and a minimalist one which is just perfect for personal blogging. The personal blogging websites so created is extremely colourful and has a friendly look. Using this theme, the bloggers are able to list their posts one after the another. 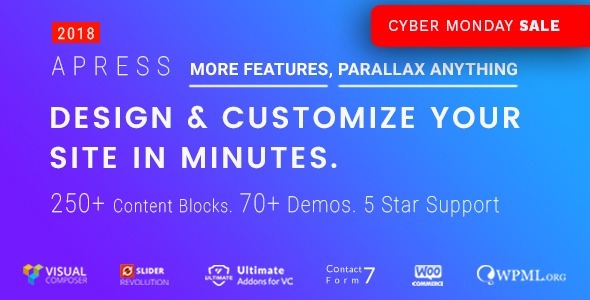 The theme provides the users endless fonts & colour options along with shortcodes and custom widgets to make sure that the users have all necessary things for the creation of their personal blogging website. 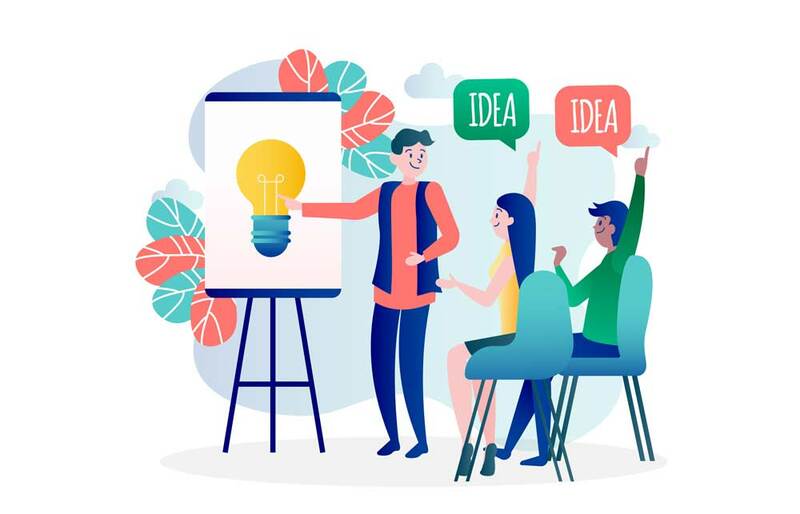 Moreover, the creators of the theme provide phenomenal customer support to efficiently address the queries of the customers. So, if you are really looking forward to launch a personal blogging website of your own, then it would be the right decision to select a very good and professional personal blog WordPress theme to get the best out of our own blogging website.